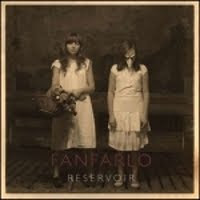 This is a wee gem of an album from the fantastic Fanfarlo. Had the privilege of seeing them twice in the space of about 12 hours earlier on in the year. 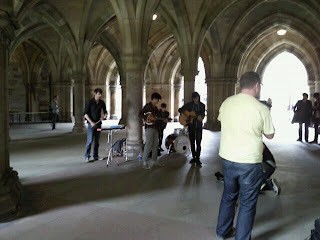 First at their amazing (if I try to forget the support band) King Tuts gig and then an acoustic "guerilla" gig in the Glasgow Uni cloisters.... see my dodgy photography below! Back to the album, if you take the best bits from Arcade Fire and Clap Your Hands Say Yeah and add a wee bit of English twee (and some Swedishness)... you get the idea! Really cracking stuff and a bargain too! Got a BBC 6 Music session kicking about somewhere and a NMH cover. Might dig them out.